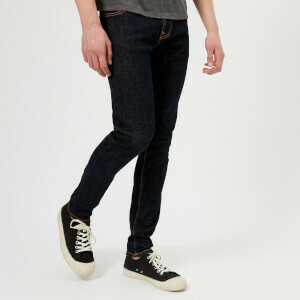 Gothenburg-based denim brand Nudie Jeans was founded in 2001 with a simple philosophy in mind – to “stay true to jeans and be all about jeans”. Over a decade on and Nudie has built a strong brand and loyal following through an unerring commitment to quality and a recognition that jeans hold an emotional significance for the wearer that extends beyond their functional use. Worn as standard by most bands, Nudie jeans are closely linked to the creative industries and those who appreciate the label’s organic approach to marketing – no hype, let the product speak for itself. 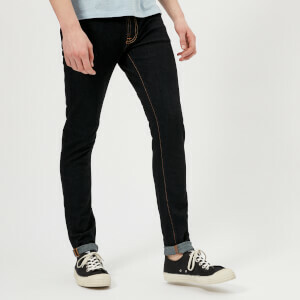 Strong ethical principles are also fundamental to Nudie; with no sweatshop labour and all production in Italy, plus ongoing support of Amnesty International, makes Nudie Jeans pleasurable to wear in more ways than one. Shop women's Nudie Jeans on Coggles with free UK and EU delivery available.